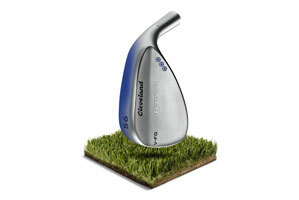 The RTX-3 Blade gets you closer to the hole than any wedge Cleveland Golf has ever made. The blade shape design is ideal for maximizing all-around wedge performance. The RTX-3 Wedge features three new wedge innovations that work together to create our most consistent wedge performance. Feel Balancing Technology, new V Sole Grinds, and a new Rotex Face each work to help get you closer to the hole, more often. 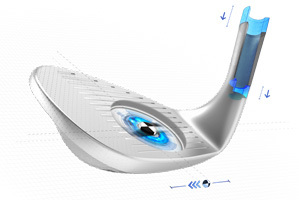 The blade design is ideal for maximizing all-around wedge performance. Nine grams of mass are removed from the hosel and redistributed to the wedge head for a center of gravity closer to the impact zone. Not only does this improve feel, but our testing also shows this technology has created the tightest shot dispersion of any wedge Cleveland Golf has ever made. Three tour-proven grinds feature a V shape with more leading edge bounce to help the club head through the turf faster at impact for crisper feel and more consistent performance. The third-generation RTX face features a refined groove shape, a new Rotex micro-milling pattern engineered to optimize spin performance by loft, and Laser Milling. These technologies combine to generate not only the most spin, but the most consistent spin within the limits. The advanced, 2-pass micro milling pattern increases friction and is directionally enhanced by loft: (46º-52º) have a circular pattern oriented straighter toward the leading edge to accommodate full shot performance. 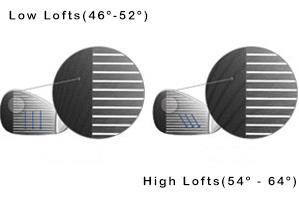 High lofts (54º-64º) feature a pattern angled toward the toe to match swing path on open-face shots for optimal greenside performance. 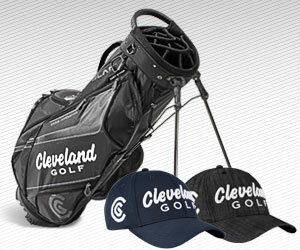 Cleveland's narrowest low bounce sole for maximum versatility. 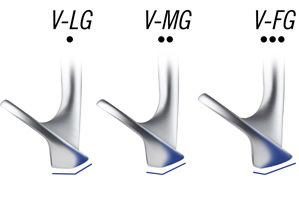 The V transition point is closer to the leading edge, making this grind ideal for tight, firm conditions and those with a shallow attack angle. 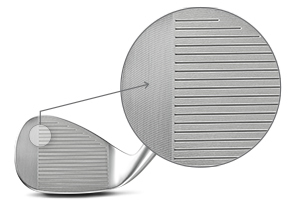 The increased leading edge bounce gets the club in and out of the turf quickly on full shots. 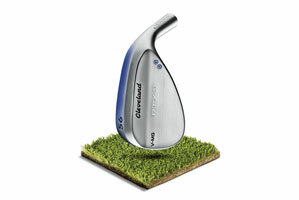 This V shaped sole features mid bounce suitable for a wide range of players and turf conditions. The V transition is in the middle of the sole to provide lift through the turf, while keeping the leading edge close to the ground when opening the face. This full sole shape designed with slight trailing edge relief. The wider sole with the V transition closer to the trailing edge provides the most lift when traveling through the turf. 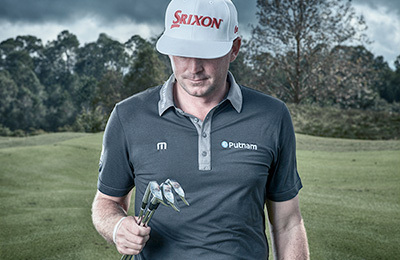 This grind is ideal for softer course conditions and those with steep angles of attack. Limited offering available in Left handed.